Country Home or Business? 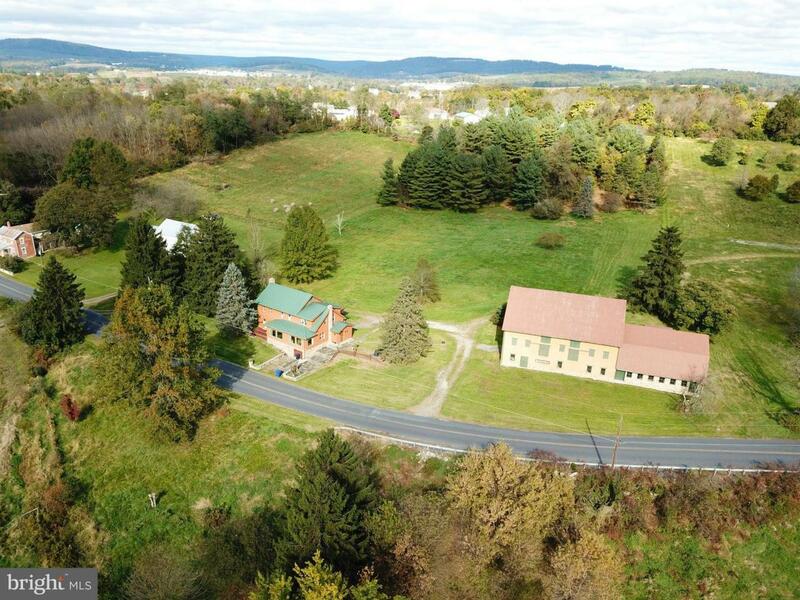 You Decide.Situated on a quiet country road in beautiful Adams County, Pennsylvania ~ this renovated 1880~s farm house is perfect to call home or to open your business enterprise - fulfilling the entrepreneurial spirit inside you. The property is surrounded by farm fields and meadows and boasts an outstanding 19th century Pennsylvania bank barn ~ fully renovated.The Log siding and restored barn give the ambiance of days gone by. Inside the home you will be pleased to find four bedrooms and three full baths ~ plenty of room for you and your family and/or guests as well as a modern kitchen and dining room. Large south facing windows serve to brighten the home and give idyllic views of the surrounding nature.The property includes 15+/- acres and is already a licensed vacation rental. The barn is ready for special income producing events (weddings, meetings, reunions, etc. ), home business or whatever you desire.Don~t wait, realize your dream of owning a country home or a perfect spot to make your own business a reality today. Come home to central Pennsylvania.Already income producing property. Check out the property on VRBO.com #599932. Great reviews.